Acupressure works directly on the energy (or life force) of the body. In China this energy is called chi (in India it is called prana and in Japan it is called ki). The smooth and balanced flow of this energy in the body is essential in maintaining good health. The chi is contained within energy lines or meridians that circulate around the body. The flow of chi through the acupressure meridians nourishes and balances the entire body with vital energy. If the flow becomes restricted or blocked we become unwell physically and/or emotionally. When acupressure points are pressed they release muscular tension, which enables the chi energy to flow more freely through the meridian, and also improves the circulation of blood. By selecting specific points the energy can also be moved or redirected to where it is needed most. This allows the body to naturally heal and balance itself, and the illness is resolved. The flow of energy can be disrupted in many ways; emotional upset, physical trauma, poor diet or overwork are all common examples. By examining this underlying cause and how it has affected the body, the most appropriate treatment for the client can be selected. 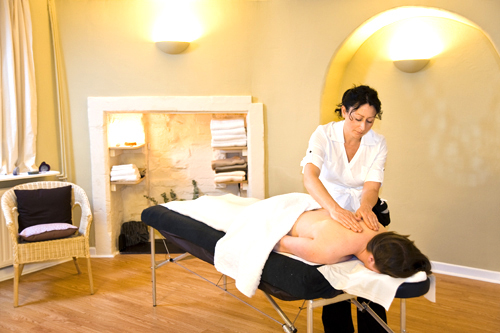 An individual acupressure session usually lasts one hour and does not require removal of clothes. The amount of pressure used by the acupressurist varies from a gentle touch to firm, deep massage. If there is any pain involved it should “hurt good”. Sometimes after a session there may be tenderness in muscles and joints, or an increase in symptoms. This is generally due to the release in toxins and should subside. It is suggested that you rest completely after receiving a session in order to experience the full benefits of acupressure.